This is the exterior of a building that was erected over the remains of Engine House Six. This building is visually similar to the original, but is slightly larger, to cover the entire footprint of the engine works. There is an informational sign on this side of the building. Engine House No. 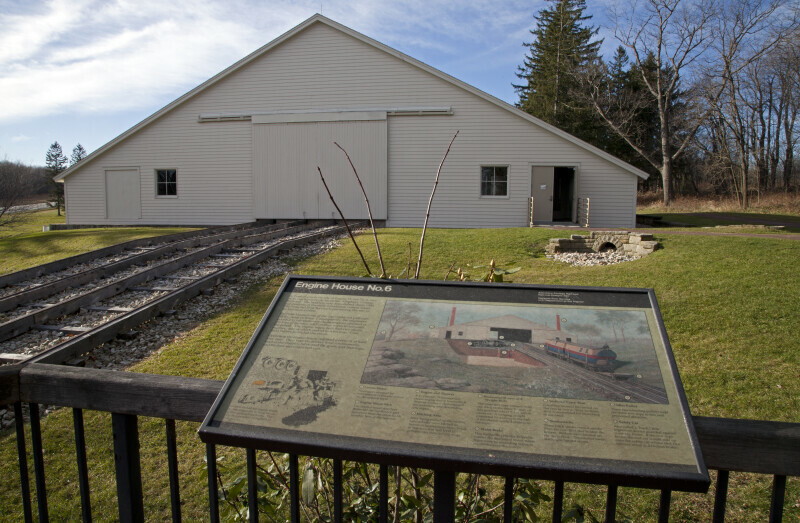 6 is listed on the National Register of Historic Places, as part of the Allegheny Portage Railroad National Historic Site.